Clindamycin Phosphate And Benzoyl Peroxide with NDC 70771-1450 is a a human prescription drug product labeled by Cadila Healthcare Limited. 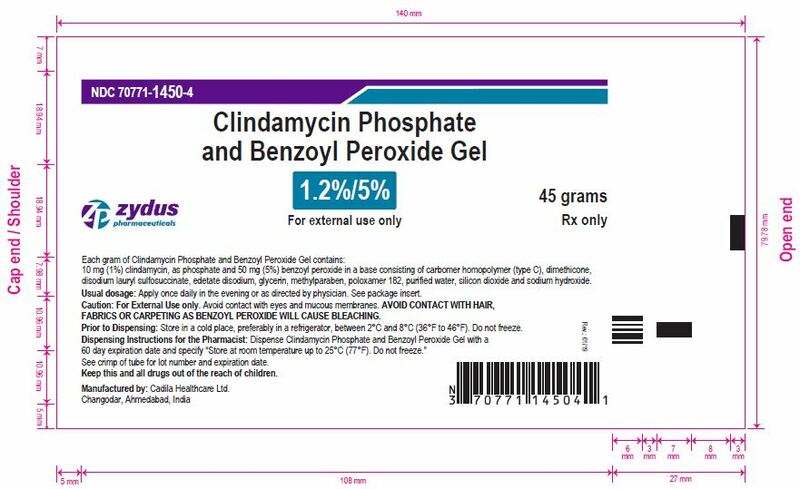 The generic name of Clindamycin Phosphate And Benzoyl Peroxide is clindamycin phosphate and benzoyl peroxide. The product's dosage form is gel and is administered via topical form.